Botulism Linked To Nacho Cheese Kills California Man : The Salt An outbreak of botulism caused by nacho cheese sauce from a gas station has hospitalized nine people and killed one man in northern California. A depiction of Clostridium botulinum, the bacteria that create a deadly toxin. The preformed toxin can be found in home-canned foods and some retail products, such as canned cheese, chili sauces and oil infused with garlic. 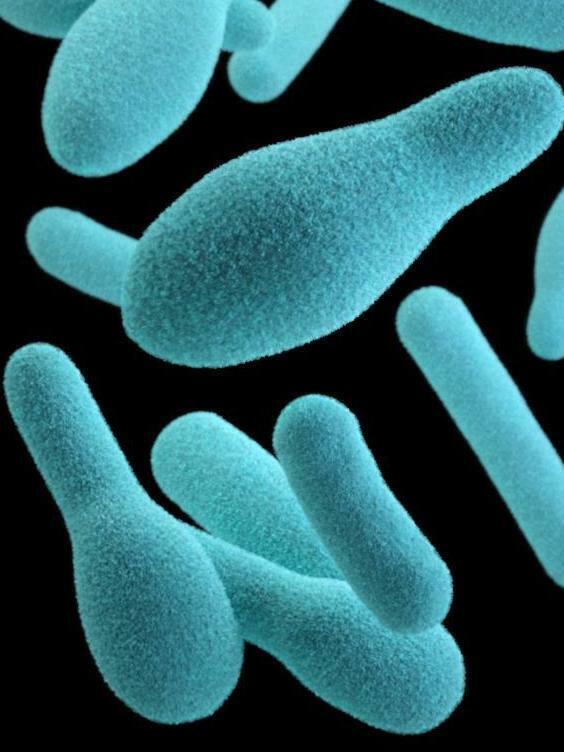 A rare outbreak of botulism has hospitalized nine people and killed one man in northern California, health officials say. The outbreak began early last month when several people fell ill after eating nacho cheese sauce bought at a gas station in Walnut Grove, Calif., just outside Sacramento. Health officials removed four batches of nacho cheese sauce from the Valley Oak Food and Fuel gas station on May 5. Now, that cheese has tested positive for the botulinum toxin, the California Department of Public Health says. In a statement issued Monday, the department said it "believes there is no continuing risk to the public." The man who died, Martin Galindo, had been in the hospital for several weeks before his death, according to a GoFundMe page created by his family. He had been on a ventilator and eventually fell into a coma. Botulism is caused by a toxin secreted by the bacterium Clostridium botulinum. The toxin attacks the nervous system, causing blurry vision, slurred speech, paralysis and difficulty breathing. In about 3 to 5 percent of cases, botulism is fatal, even when it's treated with antitoxin. Botulism is rare these days. Each year, there only about 20 cases in adults, linked to food poisoning, according to the Centers for Disease Control and Prevention. The source is often home-canned food, although sometimes the toxin does show up in retail products, like chopped garlic in oil, carrot juice and chili pepper sauce. "As we head into the summer barbecue season, both indoor and outdoor chefs need to be on guard against all foodborne illnesses," said Dr. Karen Smith of the California Department of Public Health in a statement Monday. Store the food at 50 to 70 degrees Fahrenheit before opening. Use the food within one year after canning. Don't use cans that are swollen, cracked or squirt liquid or foam when you open them. Boil foods low in acid for 10 minutes before eating. These foods include asparagus, beets, green beans, potatoes, some tomatoes, seafood and meat. High temperature will inactivate the toxin. For retail products, store oils infused with garlic, chili sauces and canned cheeses in the refrigerator. And don't use them after their expiration dates.